My kids loved it. I liked it a little better than the other ones. It was a little less gross. 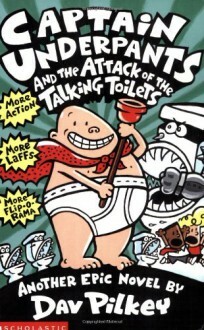 These books are utterly hilarious and they are quite entertaining. They are supper silly, but whatever. This one is about characters from Harold and George's comic book coming to life.